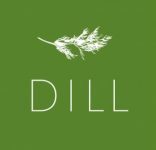 DILL embraces the New Nordic Cuisine, focusing on fresh ingredients from Iceland. Taste is of the essence in our courses and simplicity plays a key role in bringing the ingredients to their full potential. We honor Icelandic traditions in our own way and try above all to find joy in our work and share this joy with our guests. DILL offers a selection of organic and provocative wines to match our unorthodox cuisine. Our Wine Pairing 11.900 ISK.